Looks like someone could use a little more leg room for those long puggy legs! 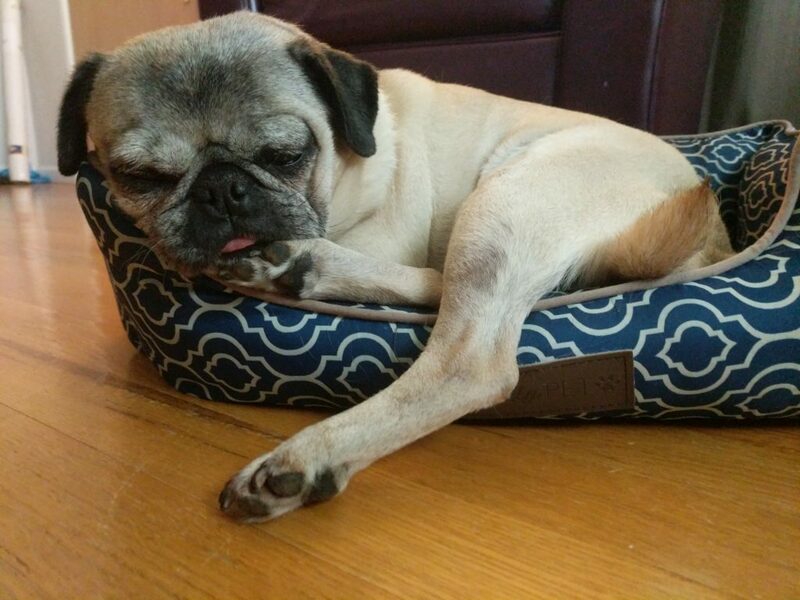 Nickie the pug is looking cute napping using one foot as a pillow and perhaps one foot as her defense system. Don’t try to disturb her sweet dreams, or she might try to kick you!